Our beautiful former vicarage has a fully licensed bar and equipped to carry out the afternoon wedding breakfast and evening receptions. Weddings are our specialty. With almost 40 years experience of catering for, advising and running weddings both large and formal or small and intimate, your arrangements could not be in better safe hands. 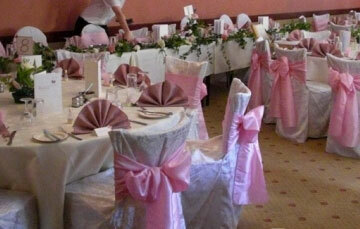 we shall be happy to send you further details in our wedding package. Double doors open directly from our function room onto a shady garden with children's play area and large covered barbeque. Ample seating makes this a popular area for outdoor summer parties. In addition there is a huge awning with access to the main bar and restaurants with tables and dining chairs for al fresco meals during the summer months. © Copyright 2017 Salhouse Lodge, All rights reserved.